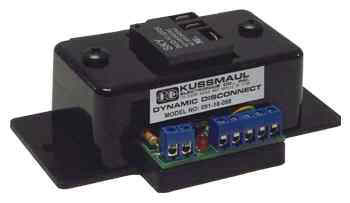 The Dynamic Disconnect is a coupling device wired between an Auto Eject and the vehicle and serves to only connect the A.C. power after the plug has been inserted into the Auto Eject. Upon vehicle startup the Dynamic Disconnect opens the load circuit before ejecting the plug. 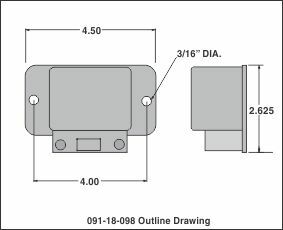 By providing the time delays on both application and removal of power, no arcing can occur at the connector. Note A.C.power must be present at the shore line connector in order to operate the Dynamic Disconnect.